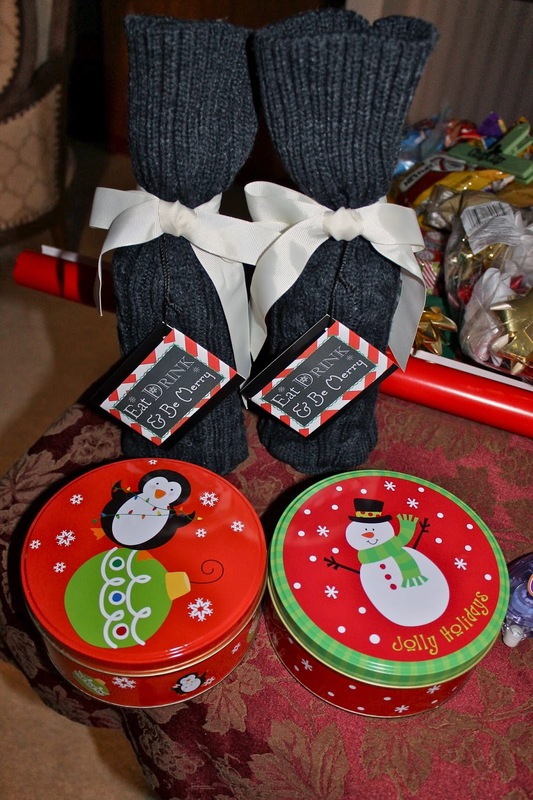 For all you procrastinators out there, here are a few great last minute (homemade) gift ideas! If you like to bake, then bake for those on your list! Baked goods add the perfect homemade touch to a gift. I found a few adorable gift tags this year that I attached to baked goods and viola, you have the perfect gift! I also found these mini bread linters & adorable Nicole Miller wine bottle holders at Home Goods. The great thing about these is you can put a bottle of just about anything in it. I picked up a few fun holiday drink mixes to put in them. A useful gift for the holidays! Thanks for reading!